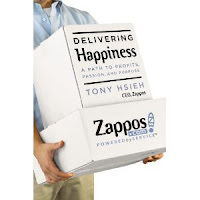 There will be three posts this week about Delivering Happiness by Tony Hsieh. This will not be the typical book review with the standard info about Tony’s background, early successes and the selling of two of his companies. When reading this book it became clear to me that Tony is sharing a large number of success principles that are common in success literature. He doesn’t call them principles but they still are principles. The publisher also gave me a second book to give away. I am going to give this book, I will pay shipping, to a random comment author to my blog. At the end of the week I will pick the winner. Here are the principles from the first part of the book that I found enlightening. “There’s a difference between knowing the path and walking the path.” Morpheus, The Matrix. Tony teaches us that everything takes action – life without action is just theory and theory doesn’t accomplish much. You have to live life and be in the game to find and deliver happiness. Humility is a theme and a core value for Tony and for Zappos. This has allowed him to endure many tough times personally and professionally because he was not focused on how he would look or how he would be impacted. When a person can separate himself or herself from the issue or opportunity, great things can happen. Early on Tony realized he couldn’t do everything himself. He knew he didn’t have the skills to cover everything in the business. One of his early businesses was website development and he was the sales person while his partner, Sanjay, was the programmer. Tony said about the two, “we made a good team.” He kept this mindset throughout his career – it takes more than one person to win. 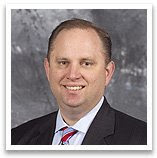 Tony had a chance to sell LinkExchange for $1 million when it was only 5 months old. When the company was about a year old, Yahoo offered $20 million of the company. Tony and his partners decided not to sell even though financially they would have been set for life. They know better things were down the road so they kept growing the business. To postpone pleasure into the future is a strong principle that has served Tony well. employees.” Notice he didn’t say they hired a lot of great programmers or great call center people. The focus was first on hiring right then getting them in the right position. This is what Jim Collins talks about when he describes getting the right people on the bus and then getting them in the right seats. Tony has shaped his marketing and branding by promoting certain stories that tell of the Zappos culture. Whether it’s paying someone $2,000 not to take a job offer or directing a customer to a different website to find the right shoe, Zappos has been able to use these stories to share what they are all about. Tony initially invested in Zappos via his venture capital fund. When he stuck to companies he knew about, he did better. When he started funding movies and other ventures he didn’t understand as well, he didn’t do as well. This is a strong lesson that a good business person needs to focus on what s/ he knows well and then keep focused. I hope these principles are interesting to you. When reading this book I was constantly reminded so many great ideas I can use in my life and business. This is a book worth buying and reading many times over.